This is a confession of an addict. In early 1993, I was urged by a long-time sailing friend to begin reading a series of novels by Patrick O’Brian about an English skipper and his shipboard surgeon set in the Napoleonic Wars. A re-read is often even more enlightening than the first, and so it was this time. 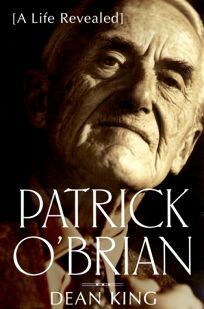 For Patrick O’Brian was a consummate “storyteller” in both senses of the word. First, he was not “Patrick O’Brian”, an Irish novelist. He was Richard Patrick Russ, the grandson of a German who moved to London in 1842 to seek his fortune as a furrier. He served in the ambulance corps during World War II and divorced his first (Welsh) wife immediately thereafter, taking his new wife Mary (English, but divorced from her Russian husband) first to Wales and then to southern France, as his writing career blossomed. But his worlds were mostly vicarious, experienced through his reading, not through actual sea experience. While his stories give us detailed and factually-correct stories of the sea and many of the battles, skirmishes, and life at sea during the wars between 1800 and 1820, plus the intrigues of life in England at that time, they were a result of his reading and research plus his remarkable memory.As far as we know, O’Brian never went to sea in any sort of vessel! 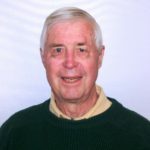 My connection with O’Brian’s work goes beyond his novels and biographies. Two of us went to the Princeton Club in New York City in the fall of 1993 to hear O’Brian talk about his novels and read from one of them. Mesmerizing, but the high point was when we asked him to autograph copies of his latest work. With an impish smile he proceeded to do so: one with his right hand and the other with his left! I noted that passage when I first read it and used it for the end of my own autobiography. King also cites it. Editor’s Note: ‘Patrick O’Brian: A Life Revealed,’ by Dean King is published by Henry Holt & Co., New York 2000.